Benjamin Henry Kimball. Bef.1924. Original photograph believed to be privately held by Steve Robbins, [ADDRESS FOR PRIVATE USE], Muskegon, Michigan. 2012. "John Considine was the eldest son of Dennis and Nora (Gilligan) Considine, and was born in Ennis, County Clare, Ireland. He was brought to the United States when four years old by his parents, who lived in Rochester, N. Y., four years, and then went to Wyoming county [New York] and spent the remainder of their lives. In 1849 Mr. C. went to Grand Rapids and engaged in the lumber trade seven years, when he purchased 80 acres of land, sec. 16, Byron tp. He gave 33 acres to his son when he attained his majority. 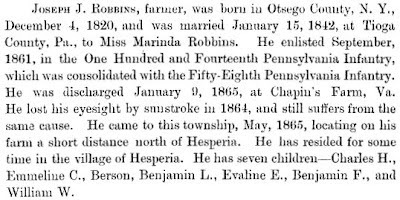 He was married in Bowne, Trent [sic Kent] Co., Dec. 25, 1849 to Elizabeth, daughter of Duncan and Mary (McPherson) McDiarmid, who is of Scotch ancestry, and was born at Wheatland, Monroe Co., N. Y., Oct. 2, 1829. Of nine children four are living, born as follows: Effie, Aug. 23, 1852; John D., Sept 3, 1854; Mary E., Aug. 16, 1863, and James W., April 25, 1869." John was my adoptive third-great-grandfather. The family name was generally spelled with a second C: CONCIDINE. This sketch lists six other direct, albeit adoptive, ancestors: his parents Dennis and Honora ("Nora"); his wife Elizabeth; her parents Duncan and Mary; and their son John Dennis, listed here as John D. I have found the senior John listed in other documents as John D, and the younger as John Dennis. It's likely they both were John Dennis, Senior and Junior, but until I find clarifying documents, I have them as John D. (the elder) and John Dennis (the younger) in my database. John Dennis CONCIDINE's daughter was Nellie May. She and her husband Alfred Henry HOLST adopted my paternal grandmother. Four of the five children (all who seem to have died young) who not listed in this sketch were Amy, b.c. 1854; Mary, b. c. 1856; Peter, b. c. Nov 1859; and a stillborn child born 21 Sep 1867. The last child is unknown. This biographical sketch was taken from History of Kent County, Michigan; together with sketches of its cities, villages and townships, educational, religious, civil, military, and political history; portraits of prominent persons, and biographies of representative citizens, published in Chicago by Charles C. Chapman & Co., 1881. John's sketch was found on page 612. This county history, along with many other Michigan ones, can be found at the Michigan County Histories and Atlases Digitization Project website. This family is my adoptive great-great-grandmother's line. I first saw the surname as GUSTAVSON, which would be a common Americanization/Anglicization of her Swedish surname, although the correct Swedish spelling would be GUSTAFSSON. My ancestor's proper surname was GUSTAFSDOTTER, because she was "Gustaf's daughter" and not his son. Patronyms (surnames based on the father's first name) were used in Sweden by all social classes (nobility often took traditional surnames) until 1901, when the Names Adoption Act was passed and patronyms were banned. Rather than list the direct paternal line of Ida Charlotta GUSTAFDOTTER from her earliest known ancestor down to the present as I do in most Surname Saturday posts, I am listing her complete ahnentafel as known, using my ahnentafel numbers. I use the letter "B" after each ahnentafel number to distinguish my adoptive family ahnentafel from my biological one. Ahnentafel #21B - Ida Charlotta GUSTAFSDOTTER (1861 - 1939) - Born in Hamneda, Sweden, Ida was one of eight children, and as a young adult immigrated with a number of her siblings to Hannover, Germany. There she met Johan Deidrich HOLST, whom she married on 6 Feb 1880. With their young son Alfred, they left Germany on the ship Lessing via the port of Hamburg, stopping at LaHavre, France, and arriving in New York City on 5 Jul 1883. Their destination was Western Michigan, where Johan's sister and brother-in-law, Anna and Claus BORCHERS lived. The HOLSTs first lived in Spring Lake Township, Ottawa County, Michigan, where their daughter Annie was born. Their next three children, Jennie, Mary, and Margaret (Maggie) were born in Crockery Township., Ottawa County, followed by their youngest son John's birth in Ravenna Township, Muskegon County in 1894. Another child died young. The family lived in Sullivan Township in Muskegon County in 1910 and 1920, but had returned to Ottawa County by 1930, living in Coopersville for the rest of their days. Ahnentafel #42B - Gustaf NILSSON (1822 - 1869) - born in Vittaryd, Sweden; m. Martha Stina SVENSDOTTER by 1848; died in Hamneda, Sweden. Ahnentafel #43B - Martha Stina SVENSDOTTER (b. 1826) - born in Hamneda. She and Gustaf had eight known children, several of which emigrated to Germany. It's possible Martha emigrated there as well after Gustaf's death, as I do not find her death listed in the Swedish parish records. Ahnentafel #84B - Nils - Gustaf's father; no further information is known. Ahnentafel #87B - Anna JONASSON (1801 - 1885) - Martha's mother, also born and died in Hamndea. Had at least seven children. 9. Anna-Karin's Genealogy Blog - helpful information (in English) on researching Swedish families and records. Anna-Karin personally helped me with my GUSTAFSDOTTER research! She also has a terrific genealogical podcast (also in English), here. Joseph Josiah Robbins. Bef 1905. Original photograph believed to be privately held by Steve Robbins, [ADDRESS FOR PRIVATE USE], Muskegon, Michigan. 2012. Yesterday I started a new theme for my blog, Mug Book Monday. "Mug books" are are collections of biographical sketches usually found within or alongside county histories of the late nineteenth- and early twentieth-centuries, particularly in the United States. As our nation celebrated its centennial in 1876, genealogy and local history became of interest to the layman, and this spurred the publication of county histories and biographies. 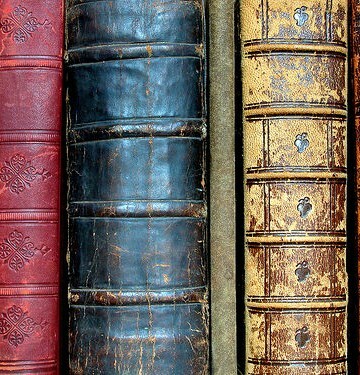 Often, a family or individual had to pay to have their biography written up and published. If a person were lacking in finances or interest in having their life story published, then there possibly won't be a biography for him, even if he were a prominent citizen. Also, keep in mind that because someone might have paid to have the biography written, it would tend to highlight only the positive aspects of this person's life or ancestry. It's also possible that there could be erroneous information given, perhaps even deliberately. Beware of sweeping generalizations, such as "the subject's mother-in-law was of Scottish heritage" or "his grandfather fought with Washington in the American Revolution." 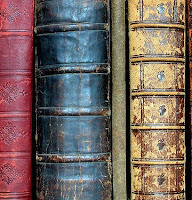 Nevertheless, county histories and biographies are great secondary sources for genealogists because they often list parents, siblings, children, spouses, and in-laws; track migration; depict photographs of the individual and/or their home or business; and give birth, marriage, death, and burial dates and locations. This is especially important as vital records were not usually kept until the late nineteenth or early twentieth centuries in many states. Additional information often includes occupations, religious and political affiliations, and societies in which the individual was a member. Remember to check to see if your ancestors' siblings, cousins, or in-laws were featured in mug books, as an indirect way to glean genealogical gems. Does Your County of Interest Have a Published History or Biographical Sketches? 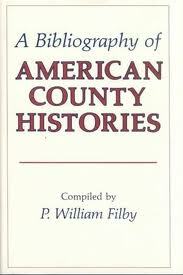 One of the best resources to find out if your county of interest has a published history or biographical sketches is A Bibliography of American County Histories compiled by P. William Filby. Your local library or genealogical society may have this title. If not, you could possibly order it through interlibrary loan (ILL) at your public library (more on ILL below). This will not only let you know if there are mug books for your county, but what the titles, compilers, and publication dates are for those items. This covers over 5,000 county histories published as of September 2000. Another good resource to check is the FamilySearch catalog, which lists all the books, microfilm, and microfiche held at the Family History Library in Salt Lake City. At this point, you're not looking to actually obtain the book. You're simply doing a place-name search in the catalog (remember to list the state first, then the county), then looking for titles in the biography and history sections for that location. Once you have a title, you can again check your local library or genealogical society to see if they have the mug book, or use WorldCat to have one sent to you. Another option is to order the microfilmed or microfiched book to your local FamilySearch Center or have a researcher at the Family History Library do a look up in the book for a small fee (more on that below). By entering the county name and a phrase such as "spokane county history" or "muskegon county biographical", Google can come up with a linked title either available in electronic format on the Internet or listed in a online bookstore, such as Amazon. Note that if your county name is very common, you may wish to list the state name in your search as well: "lincoln county washington" "county history". Archives, Libraries, Societies, Genealogical County Sites - to find digitized mug books, check out state, county, local and university archives (many are linked at my blog in my Online American Digital Archives and Databases series, or the Repositories of Primary Sources site); public library sites; and genealogical and historical society sites. Many transcribed mug books can be found at genealogical county sites such as USGenWeb, USGenNet, or GenealogyTrails. Use all these sites by going to the local level of your county of interest to find what might be available. For instance, use the PublicLibraries site to find a library in your county of interest to see if there is a digitized local history book on that library's website. 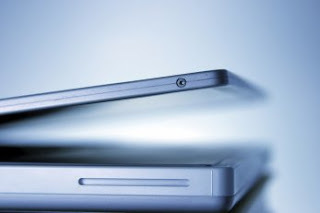 Portals - sites that link you to other sites where the digitized or transcribed books reside: Cyndi's List, DigitalBookIndex, LearnWebSkills' County and Town Histories, Linkpendium, Online Books Library Page. Depending on the site, you can either run a search on a title, or work your way down to the county page to find the book of interest. Google Search - Go to Google or your favorite search engine and enter the name of the title you want, in quotes: "History of the counties of McKean, Elk, and Forest, Pennsylvania, with Biographical selections"
Because everything is not on the Internet (shocking, I know! ), your best success in finding the mug book with your ancestor's story may come at your local public library or the collection at your local genealogical or historical society. Most public libraries and some societies have their card catalog available online, allowing you to do pre-research. Keep in mind that mug books are nearly always considered reference books and usually aren't allowed to be checked out. If you can't locate the mug book at a local library, using interlibrary loan (ILL) is the next best step. Check out WorldCat to see where the title may be held, then ask your local librarian to help you order it through interlibrary loan. Some library districts, like my own, allow their patrons to make an ILL request directly from their website. At others, you will need to come into the branch and fill out a form. Keep in mind that depending upon the policy of the lending library, you might not be allowed to bring the book home and can only view it at your library's branch. If that is the case, see if you can are allowed to photocopy or photograph the pertinent pages containing your ancestor's biography. In other cases, the book may not be available to lend to your library, but you can request the holding library to make photocopies for you and send them to your library or mail them to you directly. There may be a small fee for this. Yet another offline option is to use your local FamilySearch Center. Volunteers at these local branches of the Family History Library (FHL) can help you order mug books on microfilm or microfiche from Salt Lake City to be viewed on machines at your local FamilySearch Center. Once you know how to do this, you can also order these directly on the FamilySearch website. There is a small rental fee involved. Books are not generally loaned to a FamilySearch Center from the FHL. However, you can request that a researcher at the FHL do a look up for one of your ancestral names in a mug book. If found, photocopies can be made and mailed to you, again for a small fee. Check with the volunteers at the FamilySearch Center for assistance with this. The United States does not have a monopoly on county histories and biographies. Canada's Local Histories Online site is called Our Roots/Nos Racines.While I haven't found specific Canadian ancestors so far, I've enjoyed reading the local history of where they lived. In 1899, the Victoria County History was created, "an encyclopaedic record of England's places and people from earliest times to the present day." These books can be found at Victoria County History and British History Online. For these and other countries, many links to online county histories and biographies can be found at WorldGenWeb sites. I encourage you to attempt to find a biography or family history in a mug book. Even if you don't find one, take the time to read the local history and look at the maps to gain insight into the background and geography of where your ancestors lived. If you're lucky enough to discover an ancestor or relative has been highlighted, then please join me in blogging about them on Mug Book Monday. There's definitely going to be a limit to the amount of posts you can write for this theme, as we only have so many ancestors that had histories published. However, this is a great way to share these published treasures with our family and other researchers! 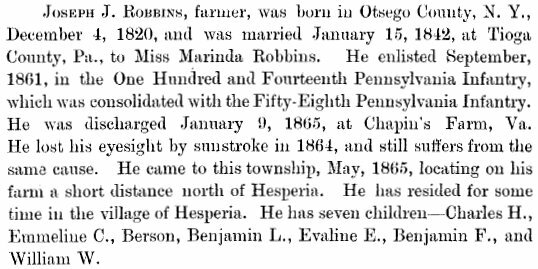 "JOSEPH J. ROBBINS, farmer, was born in Otsego County, N. Y., December 4, 1820, and was married January 15, 1842 at Tioga County, Pa., to Miss Marinda Robbins. He enlisted September, 1861, in the One Hundred and Fourteenth Pennsylvania Infantry, which was consolidated with teh Fifty-Eighth Pennsylvania Infantry. He was discharged January 9, 1865, at Chapin's Far, Va. He lost his eyesight by sunstroke in 1864, and still suffers from the same cause. He came to this township, May, 1865, locating on his farm a short distance north of Hesperia. He has resided for some time in the village of Hesperia. He has seven children--Charles H., Emmeline C., Berson [sic - Benson], Benjamin L., Evaline E., Benjamin F. [sic - Ben Franklin], and William W."
Joseph was my fourth-great-grandfather. His wife Marinda was his second wife, and she was my ancestor, too. Their son, Charles, was my third-great-grandfather. I wrote a little sketch about Joseph's Civil War service, here. All the details about Joseph's life mentioned here appear to be correct, as I analyze them against other documents. The only exceptions are his children's names. Their full names, with correct spellings, should be: Charles Henry, Emeline Catherine, Joseph Uzza Benson, Benjamin Leader (he went by "Lee"), Evaline L., Ben Franklin (nicknamed "Frank") and William Wallace Robbins. Evaline died in March 1880 and William died in July 1882. It's possible the material for this book was gathered several years prior to publishing, and therefore the death of Evaline (and possibly William) before publication would not have been noted. This biographical sketch was taken from History of Manistee, Mason and Oceana Counties, Michigan, with Illustrations and Biographical Sketches of Some of Its Prominent Men and Pioneers, published in Chicago by H. R. Page & Co., 1882. Joseph's sketch was found in the Oceana County section, on page 147. This county history, along with many other Michigan ones, can be found at the Michigan County Histories and Atlases Digitization Project website. 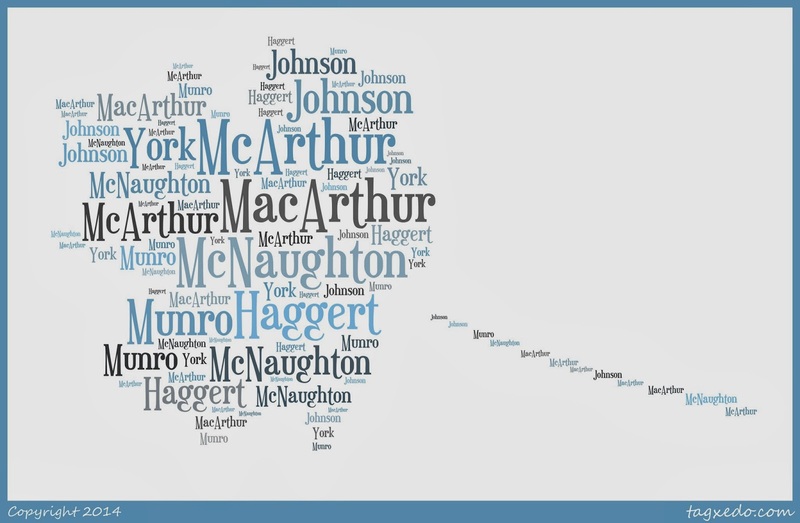 MacArthur and McArthur are two common spellings of this Scots patronym. The surname simply means "son of Arthur". Who that man, Arthur--the originator of my particular family line--was, has been lost in time at this point. Using church records indexed at FamilySearch, I've been able to trace my line back five generations from my paternal great-great-grandmother. Ahnentafel #336 - Donald (or Daniel) MacARTHUR (b. 1716) - I've seen both Donald and Daniel listed as first names for this man. It's likely one is a mis-transcription of the other, a common mistake in genealogy. He married Katherine McNAUGHTON on 15 Jan 1754 in Kenmore, Perthshire, Scotland. They had nine children, all born and/or christened in Kenmore. Donald/Daniel was buried in Argyllshire, Scotland. Ahnentafel #168 - Duncan MacARTHUR (1753 - 1842) - my immigrant ancestor was born in Kenmore. He married Janet HAGGERT, also born in Kenmore. It's not clear if they married in Scotland or in Canada. All seven children were born in Canada. Duncan died Aug 1842 in Martintown, Glengarry Co., Ontario. Ahenentafel #84 - Donald MacARTHUR (d. bef. 1842) - I know less about this ancestor than I do his own father, due to the fact that he died young, before his father did and before civil registration of deaths in Canada. He married Catherine "Nancy" Anne MUNRO, who was also born in Canada. They had at least three children. Ahnentafel #42 - Daniel J. MacARTHUR (1827 - 1919) - Another immigrant ancestor (to the U.S. this time), he served for the Union during the Civil War. I did a sketch about him here when blogging a series about Civil War Soldier and Sailor ancestors. I also blogged about him and his wife, Martha JOHNSON, here. The COLLINS line for my children ends with one of my ex-husband's great-great-grandmothers, Senna "Senie" COLLINS TOLLIVER, who died in Los Angeles in 1950. The line's beginnings, as we know it, start with Jonathan COLLINS, Sr., in Pennsylvania in 1706. 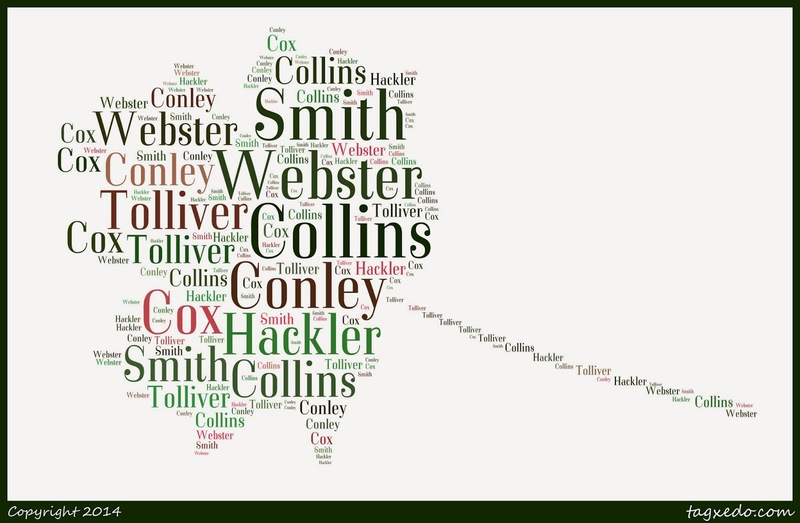 I strongly suspect that this line has Melungeon heritage, due to the facts that COLLINS is a common name among that ethnicity, as well as the family is known to have lived in areas of North Carolina where Melungeon ancestry is common. Furthermore, a close biological relative of my children tested positive for sub-Saharan African ancestry in an autosomnal DNA test. Ahnentafel #608 - Jonathan COLLINS, Sr. (1706 - 1779) - born in Bucks County, Pennsylvania, he married Ann SMITH (b. 1719) on 2 Jul 1731 in Hardwich, Sussex Co., New Jersey, where later Jonathan died.. They had eight children. Ahnentafel #304 - Mahlon COLLINS (1756 - 1834) - born in Sussex County, New Jersey, he married Phoebe WEBSTER (1756 - 1841) on 10 Oct 1776 in Hunterdon County, New Jersey. They also had eight children. Mahlon would have been the right age to have served in the American Revolution, but so far, I have neither found, nor honestly looked, for information to support this. This couple likely followed their adult children to Grayson County, Virginia, and eventually to Lawrence County, Indiana, where Mahlon died. Ahnentafel #152 - John COLLINS, Sr. (1777 - 1850) - born in Sussex County, New Jersey, he married Effie CONLEY (1775 - bef 1830); no marriage details found so far. They had seven children. This couple migrated with John's siblings and probably his parents to Grayson County, Virginia, where John died. 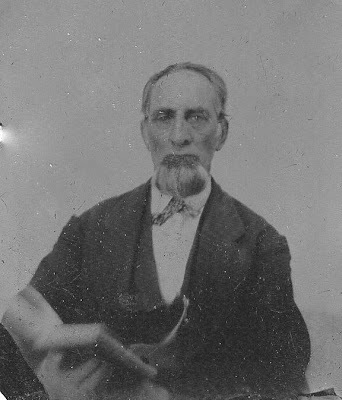 Ahnentafel #76 - Elijah COLLINS (1802 - 1896) - born, married, and died in Baywood, Grayson Co., Virginia, he married Margy COX (1817 - 1904) on 9 Jun 1832. They had 14 children, many of whom moved west to Nebraska and Colorado. 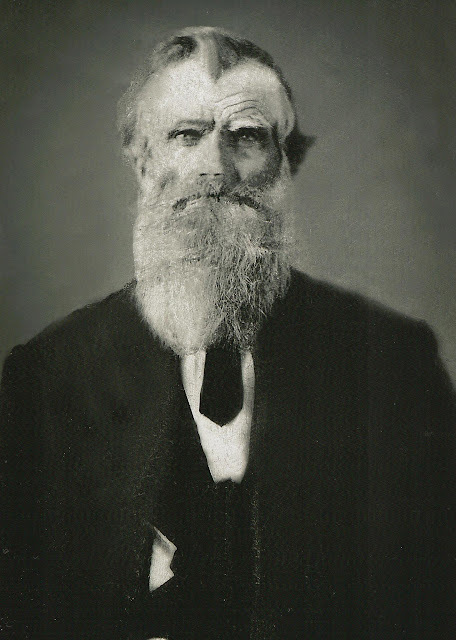 Ahnentafel #38 - Mahlon F. COLLINS (1846 - 1887) - born in Grayson County, Virginia, he married twice. His first wife was Mary A. "Polly" HACKLER (1848 - 1878), to whom he married on 18 Feb 1869 in Grayson County. They had five children, the eldest being my children's ancestor (see below). After Polly's death, Mahlon married Nancy WARD (1843 - 1920) by 1882. They had two children. With his second wife and children, Mahlon migrated west to Nebraska, where he died at age 41, probably in Battle Creek, Madison County. Ahnentafel #19 - Senna "Senie" COLLINS (1870 - 1950) - born in Grayson County, Virginia, Senie moved west with her father, step-mother, and siblings to Battle Creek, Madison Co., Nebraska, where she met and married Clark Pleasant R. TOLLIVER (1861 - 1918) from North Carolina. They were married on 3 Jul 1886 and had nine children. The family migrated to Hotchkiss Twp., Delta Co., Colorado, where they met the MIDKIFF family. Two of their children married MIDKIFFs, and both families migrated further west into California in the 1910s. Clark died in 1918, and Senie remained unmarried for the rest of her life, another 32 years, living mainly with her children in the Los Angeles area. She died in Los Angeles, and was buried at Forest Lawn Memorial Park, in Glendale. I was able to visit her grave in 2010 while attending Jamboree. I've been doing a lot of research lately on my WILKINSON line, which purportedly originates in Yorkshire, England. That broad location is not exactly helpful; it's the equivalent here in the U.S. of saying one's family comes from Texas. Yorkshire is the largest of the English counties. In fact, it's so large, it was divided into three administrative units called ridings: North, West, and East. While I have a long way to go before discovering exactly where in Yorkshire my WILKINSONs derived, I came across an advertisement for Tracing Your Yorkshire Ancestors and decided to order it through interlibrary loan to see if it could be of use to my future research. 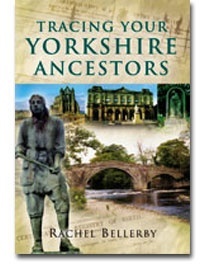 This 162-page paperback book, written by Rachel Bellerby and published by Pen and Sword Family History (Barnsley, South Yorkshire, 2006) contains quite a number of black-and-white photos. In my opinion, it would have been beneficial to include several maps, showing geography and communities, as well as parish and other administrative borders, especially to this American who is unfamiliar with the locations mentioned within. The introduction was extremely useful, with information on Yorkshire's various archives (university, museum, and business), county record offices, the Registry of Deeds at Wakefield, and the Borthwick Institute of Historical Research. The book is divided into ten chapters. The first three are focused on the occupations and trades that many Yorkshire citizens engaged in, very often due to the regions they lived in. For instance, in Chapter 1, I learned that North Yorkshire is known for its farming and agriculture, while South Yorkshire has a industrial and mining tradition. East Yorkshire--on the coast--is recognized for its fishing and marine industries, and West Yorkshire has a worldwide reputation for producing fine textiles. (Note that the four geographic regions do not coincide exactly to the three Ridings.) From this information, I can estimate that my farming and carpentering WILKINSONs may likely have come from the North. The next six chapters focus on Yorkshire lifestyles which would produce records of genealogical interest, such as urban ancestors, leisure and societies, religion and its records, education and institutions, the military, and migration and poverty. I admit I was disappointed that the chapter on migration had no information whatsoever on emigration to other countries. I had hoped to find some clues as to migration patterns from certain parishes in Yorkshire to certain counties in Ontario, Canada. Instead, it had information on recent immigration into Yorkshire. I did see how its description of The Romany Collection would be of interest to someone with Romany (a.k.a. "Gypsy") heritage. The last chapter appears to be well detailed and is an excellent reference. Titled "Directory of Archive Repositories and Family History Societies," it is divided into the following sections, most of which are further divided into the four regions: archives, museum archives, libraries, miscellaneous, and Family History Societies in Yorkshire. These contain descriptions of the institutions and their collections, mailing addresses, phone numbers, and websites and/or email addresses, where pertinent. Despite some of its omissions, I recommend this resource, and will likely purchase a copy for my home genealogical library once I determine exactly from where in Yorkshire my ancestors immigrated. In the U.S., it is available on Amazon for $19.95. Disclosure: As an Amazon Associate, I receive a small percentage of the purchase price when readers purchase a title through the Amazon link above, although this title is available at other websites and various bookstores.